ST. GEORGE — While top-ranked Cedar High sat out with a bye on Tuesday, the rest of Region 9’s teams played close games, with no margin of victory higher than 4 points. 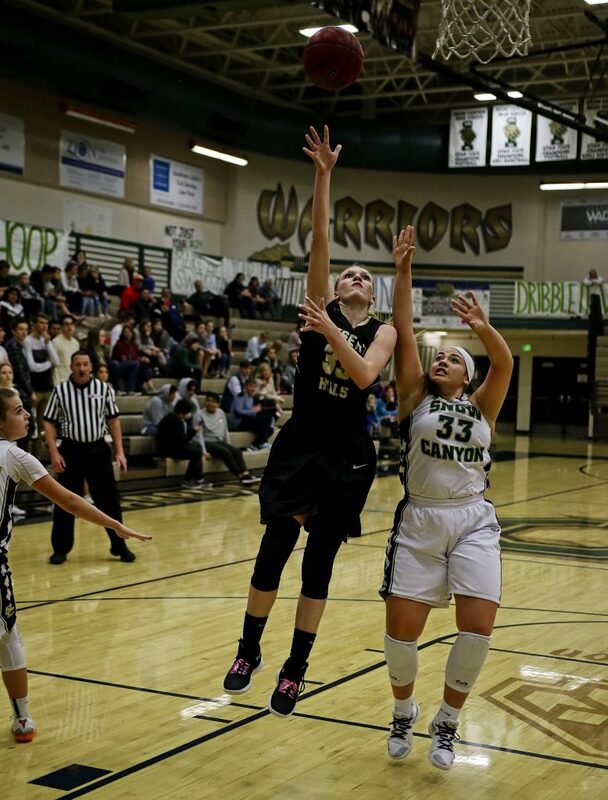 Desert Hills traveled to Snow Canyon and handed the Warriors their first loss in region play. Canyon View notched its first win by knocking off Pine View in Cedar City, and Dixie evened its record with a win over visiting Hurricane. 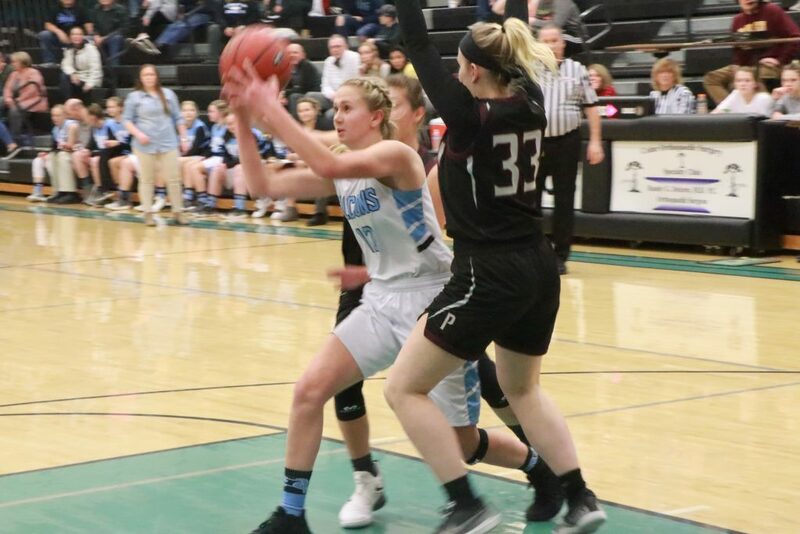 In a back-and-forth battle that came down to a couple key plays in the final minute, Canyon View picked up its first region win of the season with a 48-46 home victory over the Pine View Lady Panthers. 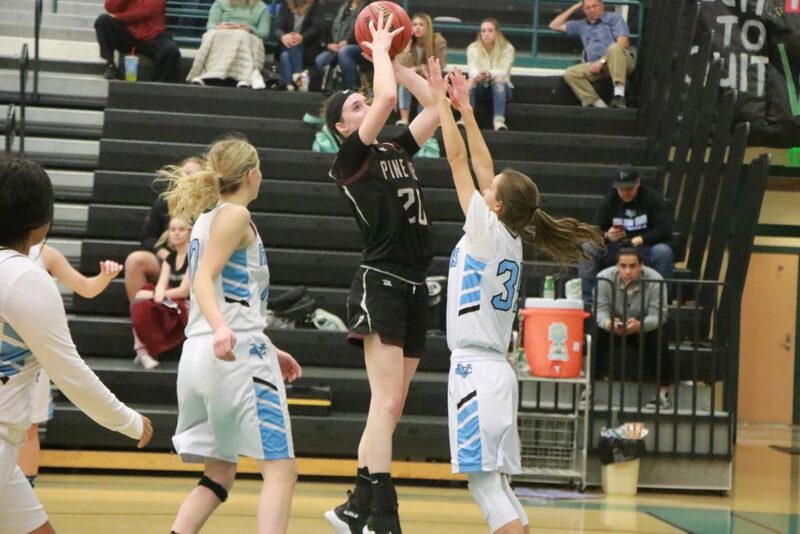 With just under two minutes to play in the fourth period, Pine View’s Sophia Jensen swished a 3-pointer from the right wing to put the Panthers ahead by one point, 42-41. 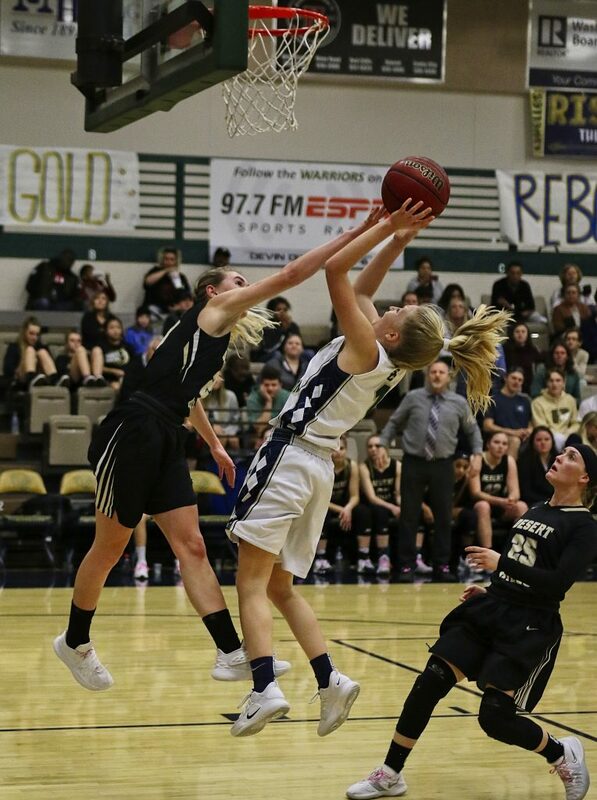 Canyon View’s next two possessions ended in a missed shot and a blocked shot, after which sophomore center Averi Papa scored inside to put Pine View ahead by three, 44-41, with 55 seconds remaining. 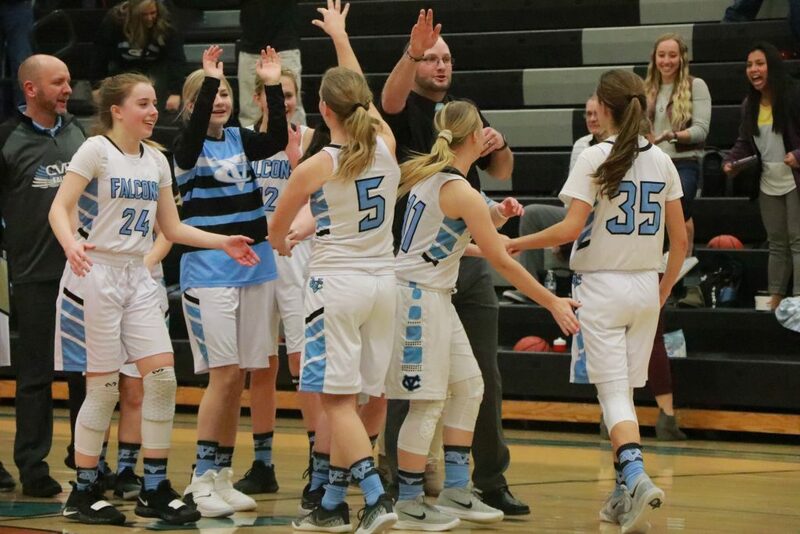 Canyon View senior guard Jordan Nielson then swished a pair of free throws with 42 seconds left to bring the Lady Falcons within one point again, 44-43. 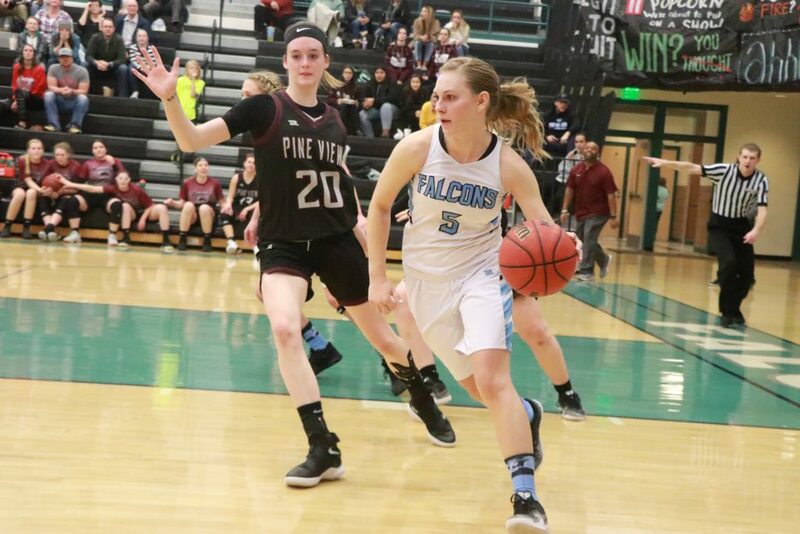 On Pine View’s ensuing possession, Jensen missed the front end of a one-and-one free throw opportunity, after which Nielson drove the ball the length of the court and scored, getting fouled in the process. She made the ensuing free throw to complete a three-point play that put Canyon View ahead 46-44 with 30 seconds left. Pine View head coach Chris Brinagh said after the game that he didn’t agree with the call the referees made on that play. Jensen then took the ball inside for Pine View and drew a foul. This time, she made both free throw shots to tie the game 46-46 with 24 seconds left. 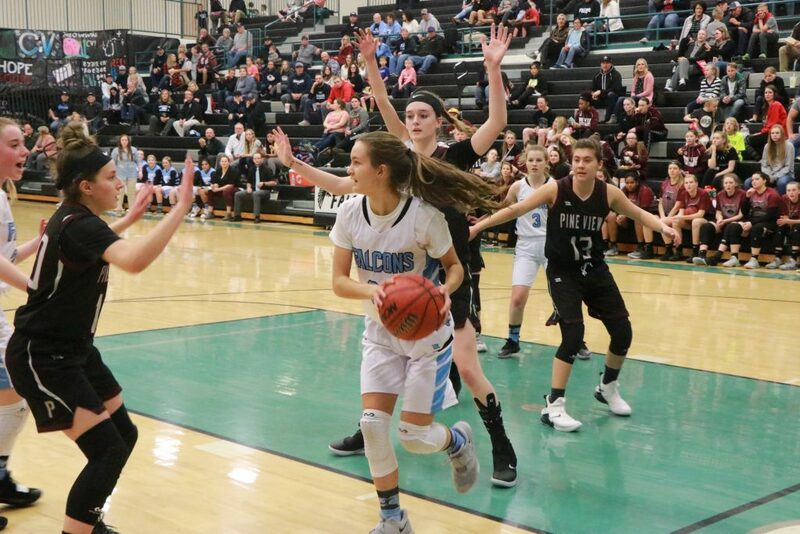 After taking a pass in the backcourt, Canyon View’s Addison Newman drove down the right side of the court and went all the way to the basket for a go-ahead layup that put the Falcons up 48-46 with about 14 seconds left. 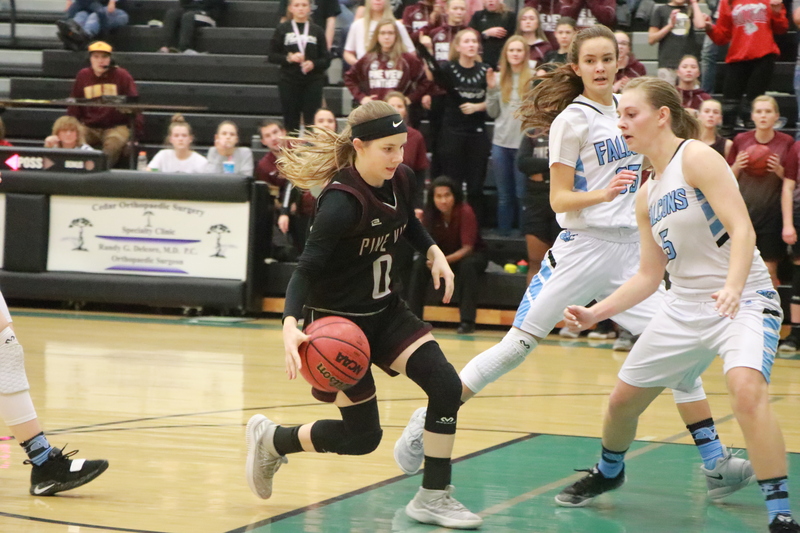 Pine View called time out to set up a chance to tie the game, but the Panthers’ baseline shot attempt came up short. Newman rebounded the ball in the final seconds, sealing the win for Canyon View. The game featured numerous ties and lead changes, with neither team leading by more than five points throughout. Canyon View had led 6-1 in the opening minutes of the game, but Pine View went on an 8-0 run to go ahead 9-6 by the end of the first quarter. After a closely fought second quarter, the Falcons posted a 23-22 halftime lead. 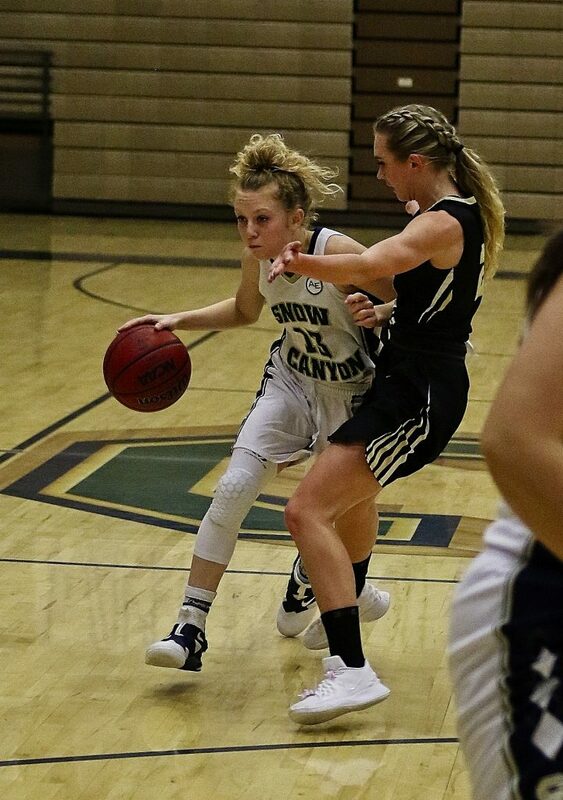 Canyon View pushed its lead back up to five at the end of the third, 36-31, but a pair of inside baskets by Papa, along with a bucket by Jensen in between, gave Pine View the lead again, 37-36, with just under 5:45 remaining in the fourth. Papa finished with 17 points to lead the Panthers, while Alex Olson added 11. Canyon View was led by Nielson’s 21 points, while Newman contributed 8 points, including the game-winning basket. The Falcons played without their usual starting center and leading scorer Ashlyn Banks, who was out of town. 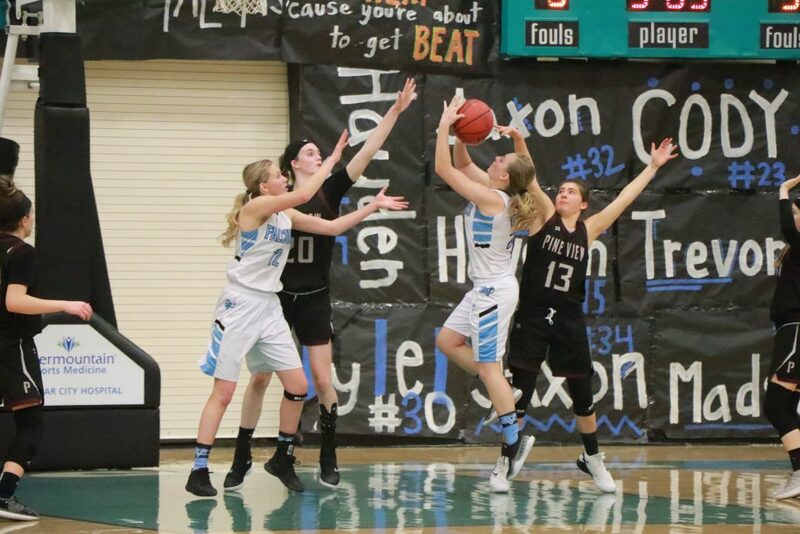 Canyon View improved its Region 9 record to 1-4 with the win, while Pine View dropped to 0-4. 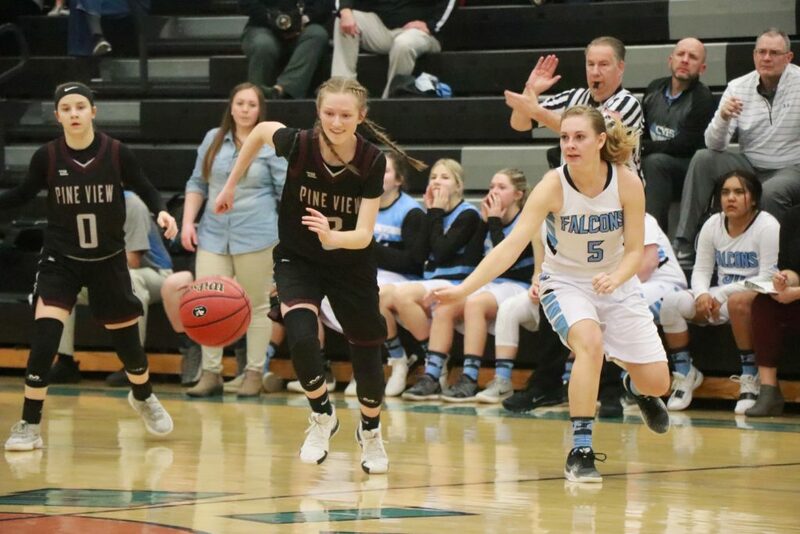 Pine View next plays at Hurricane on Thursday at 7 p.m. Canyon View has a bye Thursday and will next play at Dixie on Tuesday, Jan. 22. 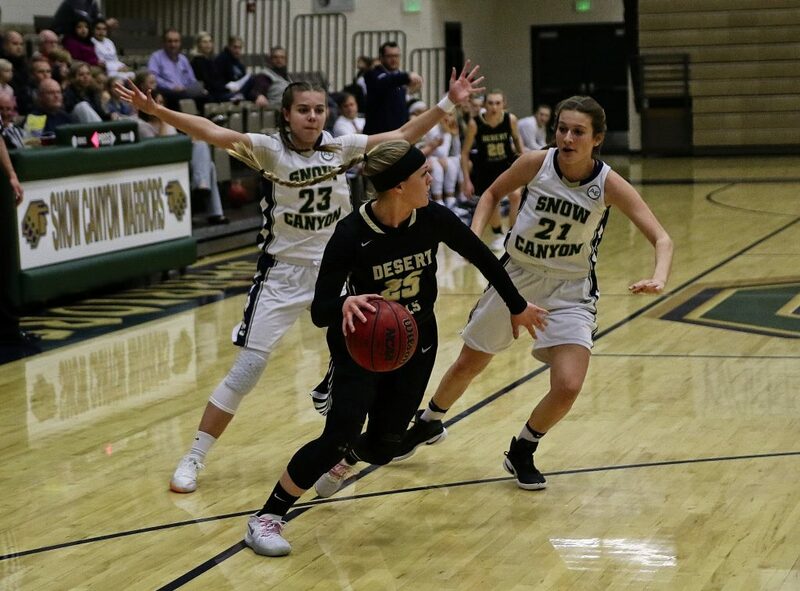 In a battle of top Region 9 teams, visiting Desert Hills Thunder beat the Snow Canyon Warriors on Tuesday night, knocking off one of the region’s two undefeated teams. The game was close throughout, with the Warriors holding a slim 1-point advantage at halftime. After the break, the Thunder outscored the Snow Canyon 14-8 in the third quarter, which is all they needed to pull out a close win in the end. Samantha Crane led Desert Hills with 17 points, and Kellie Nance scored 10 points. For the Warriors, Tylei Jensen scored 15 points and Braillen Halalilo chipped in with 12. With the win, the Thunder improves to 3-1 in Region 9 play, while the Warriors drop to 4-1 with the loss. Up next, Desert Hills takes on Dixie on Thursday at 7 p.m. 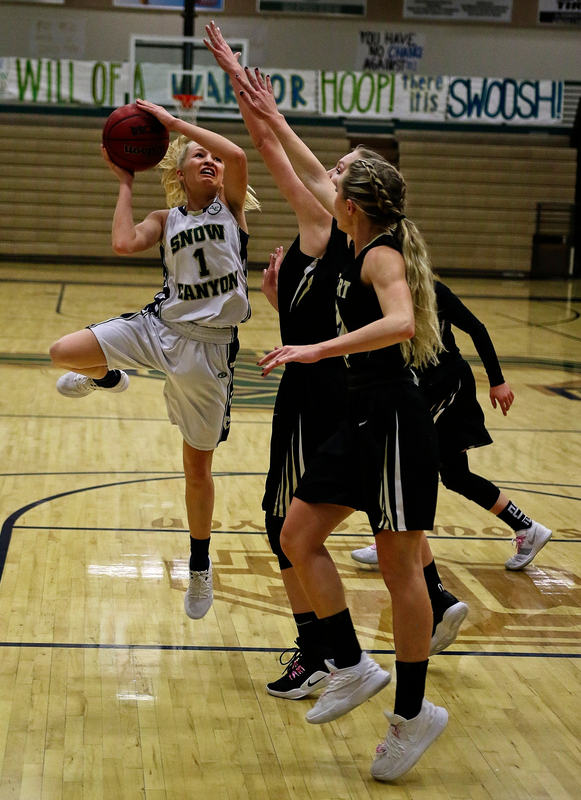 Snow Canyon will take on the lone unbeaten team in Region 9, the Cedar Lady Reds at 7 p.m. on Thursday. The Dixie Flyers eked out a win Tuesday over the visiting Hurricane Tigers, 47-45. With the win, Dixie improves to 2-2 in region play, while the loss drops Hurricane to 1-3 in region. The Flyers were led on offense by Mel Alo and Joslyn Bundy, who each scored 13 points. Sina Tapasa added 9 points in the win. The Tigers were led by Hailey Homer, who scored 11 points. Madi Hirschi added 10. Hurricane will aim to get back in the win column on Thursday, when they host Pine View at 7 p.m.
Up next, Dixie will look to build a winning streak when they play Thursday at Desert Hills at 7 p.m.
It’s nice that we can go to this online news and get excellent coverage of the local sports. Unfortunately, we do not get much coverage anymore from the other local news source.